Though amla has so many nutritional health benefits but hardly anyone fondly consumes them raw at home. Have you tried sipping a glass of water after eating a nellikka (amla)? The water tastes so sweet that you forget all the tart taste of amla,that's the magic of amla. Kids eat one for the sake of the pull and push of mom and then its done. So I need to think ways to sneak this wonder fruit. I remember my mom making murabba when we were small kids(probably we also rejected to eat raw). 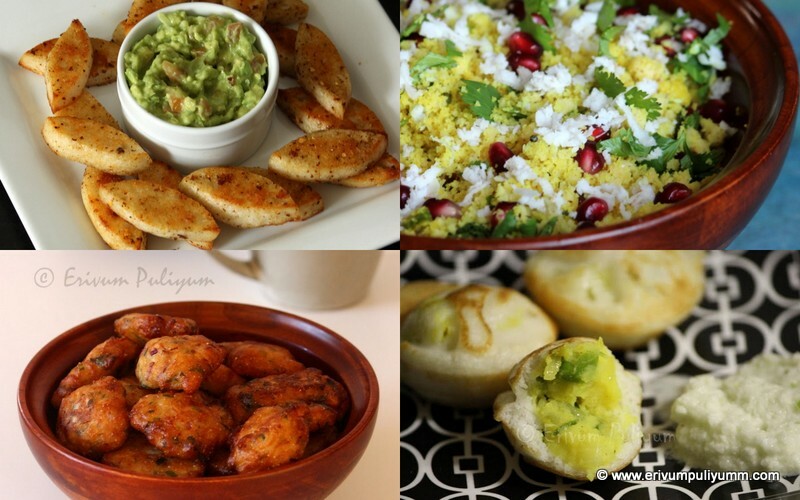 She learnt the recipe from our neighbour aunty when we stayed in Delhi. 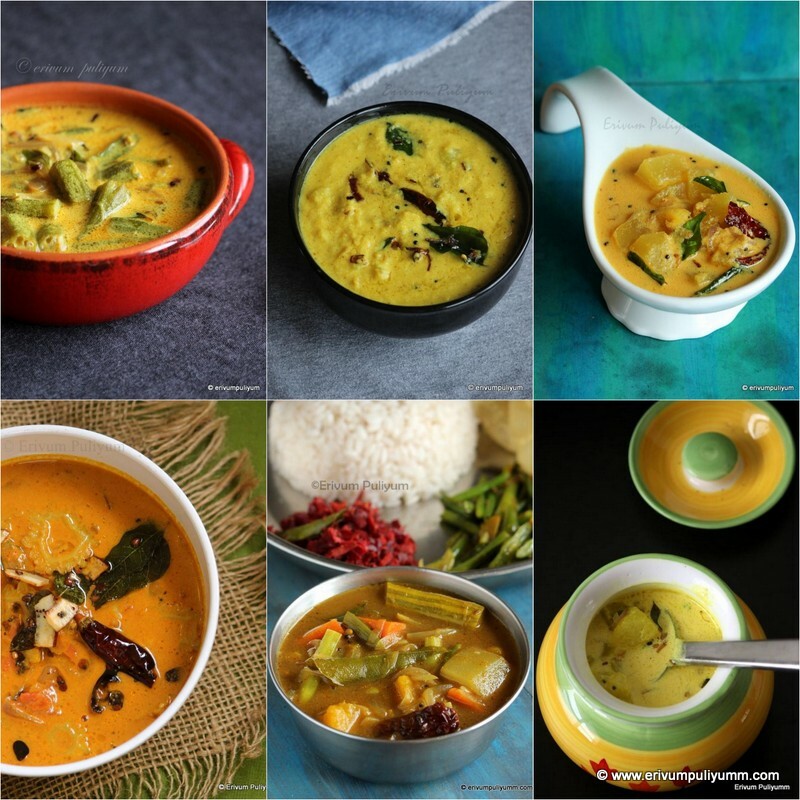 My usual ways of using up amlas was limited to amla pickle(nellikka achar) or nellikka uppilitathu. The murabba part though known was conveniently forgotten as it requires pricking with forks and so looked tedious. However,I gained up the energy to finally give this a try last year and made a small batch of half kilo amlas. I bought the bottle to limelight only after a month of preserving and to my surprise it just got over in 2-3 days. By then the season of nellikka also had come to an end and had no scope of trying again. This year I made a larger batch as soon as I got hold of some big plump ones which were easy to prick and were nicely juicy.And these pictures are taken after 15 days of soaking in sugar syrup. As the nellikka soaks in this sugar syrup it is succulent and sweet, the more you can preserve the better it is. Do try these out in this amla season, am sure kids would love to have it ! 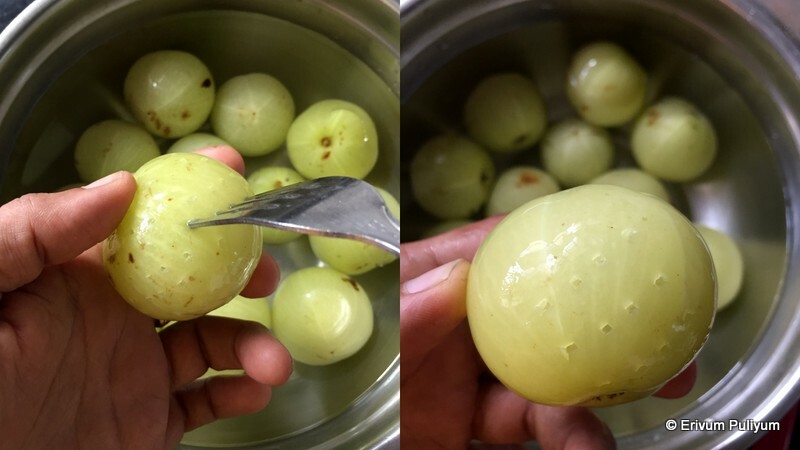 PS: These pics are taken one month after making murabba, as the amla/nellikka is preserved longer the sugar syrup and amlas color turn deeper ( more of a caramelized ) . Wash and *soak amla for 2 days in fresh water.Then remove from water and start pricking each amla with a fork as much as possible.Add this in another bowl with fresh water with fitkari/alum powder (if using). Leave again overnight. 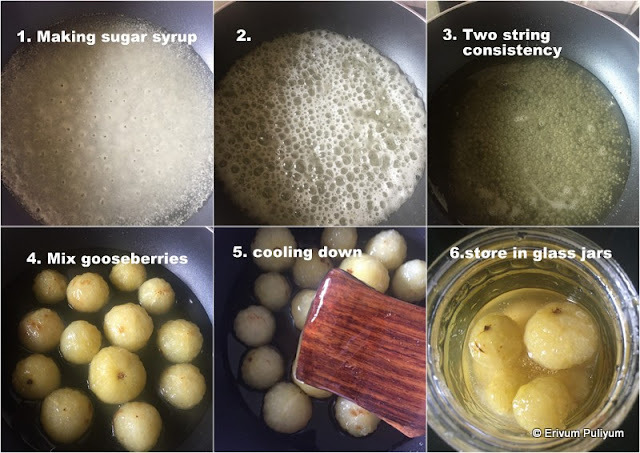 Next day,boil a pan with water.When the water reaches boil,slide in the amla/gooseberries. Leave for two to three minutes.Drain from water and leave to cool. Add in the sugar mentioned on top of the amlas/gooseberries.Mix well and keep aside for half an hour. 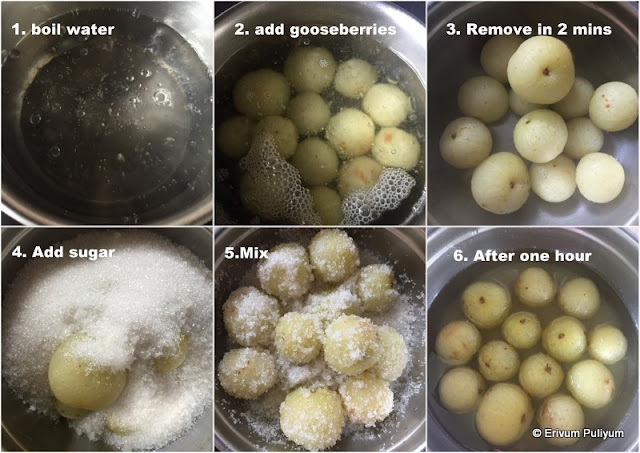 The liquid from the amlas / goosebeeries start to ooze out.Boil only the sugar syrup in a pan till it reaches two string consistency.Switch off flame and add the gooseberries.Cover and leave for 2 days( There may be a possibility of water oozing out from the gooseberries and amlas shrink in size.In that case,remove the gooseberries from the syrup and boil the syrup again in a pan and thicken the syrup). Add the gooseberries,leave to cool. Transfer to air tight containers preferably glass containers and can be stored upto a year. * Soak amla /gooseberry in a glass or ceramic jar as there are chances of citrus fruits reacting to other utensils esp plastic and steel. * I didn't get fitkari(alum) to buy here and moreover my mom made murabbas without using alum.So I was confident to do.If you can access fitkari,better to add to purify amla. 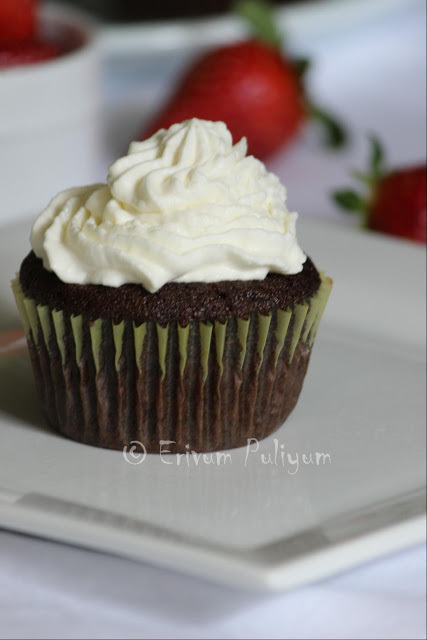 * I have adapted the recipe from here and has worked out good. I remember those are very sour...ate lots of preserved one when I was still a kid. The gooseberry here in Europe is very different.